In a campaign speech delivered at New York University Law School, Biden laid out a robust defense of President Barack Obama’s foreign policy record while eviscerating Romney for lacking vision and for ‘distorting’ Obama’s record in a way that has been counterproductive to U.S. interests. ‘If you’re looking for a bumper sticker to sum up how President Obama has handled what we inherited, it’s pretty simple: Osama bin Laden is dead and General Motors is alive,’ Biden said, saying Obama’s decisions on both foreign and domestic policy had made the U.S. safer. ‘We know when the governor does venture a position it’s a safe bet that he previously took or will take an exactly opposite position,’ Biden said, noting that Romney had originally supported setting a time frame for pulling U.S. troops from Afghanistan only to later criticize Obama’s plan to do so by the end of 2014. 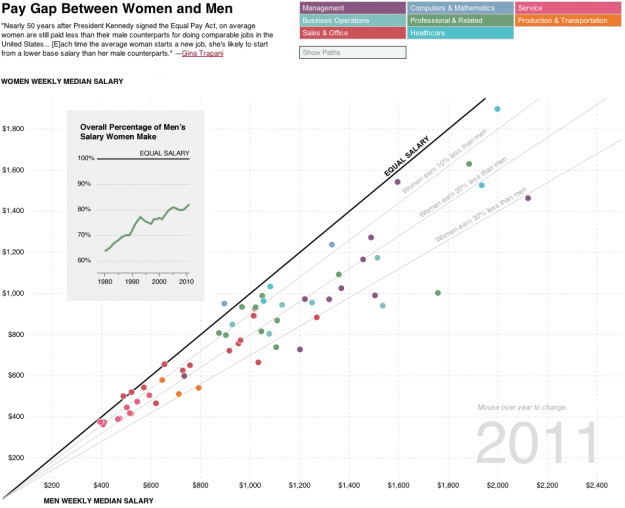 ‘As my brother would say, “Go figure,”‘ Biden said to laughs. ‘The governor is falling back on one of his party’s favorite tricks of late – distort and mischaracterize your opponent’s position. Keep repeating the distortions and mischaracterizations over and over again,’ Biden said. ‘The only step we could take that we aren’t already taking is to launch a war against Iran. If that’s what Gov. 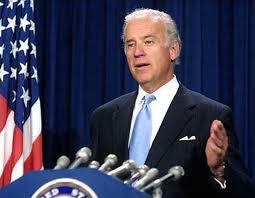 Romney means by a “very different policy,” he should tell the American people,’ Biden said. AP account of Vice President Biden’s speech. President’s record on stopping the Iranian nuclear weapons program. 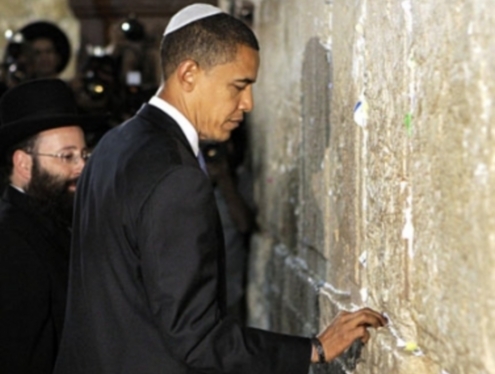 How the President has strengthened the U.S.-Israel relationship. Vice President’s past comments on the U.S. and Israel. Watch them and see how they choose. Are they going to put 300,000 teachers back in the classroom, 15,000 firefighters back on the job and thousands of police officers back on the beat or vote to save people with incomes of more than $1 million a one-half of 1 percent increase on the their taxes for every dollar they make over a million? Jonathan Pollard tried unsuccessfully to sell the classified documents to Australia before approaching Israel. 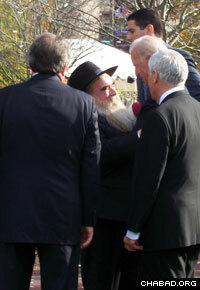 Mr. Biden clearly opposed a Pollard pardon in March 2007. This story also ran in similar fashion in the JTA, Ynet and IMRA; and I have seen it echoed by various blogers. I have been especially surprised by these reports of a Biden “flip flop” on a Pollard pardon since the source cited as proof of the Vice President’s change of position is an interview I conducted with him for Shalom TV in March 2007 when Mr. Biden was a candidate for the Democratic presidential nomination (video after the jump). I am surprised because the stories seriously distort Mr. Biden’s unequivocal opposition to a Pollard pardon by emphasizing one sentence out of context–while ignoring the unambiguous thrust of Mr. Biden’s position which he clearly articulated in that March 2007 interview. In almost every story quoting his Shalom TV appearance, this part of Mr. Biden’s answer is omitted. News sources have used this single sentence to suggest that during his bid for the Democratic nomination in 2007, Mr. Biden supported a pardon for Pollard. But if one listens to Mr. Biden’s complete answer to the Pollard question, it becomes clear that he was not equating “leniency” with a “pardon;” and that in 2007 he was adamantly opposed to any pardon of Jonathan Pollard. Now there is a rationale in my view why Pollard should be given leniency. There’s a rational for that. But there is not a rationale to say, ‘No, what happened did not happen and he should be pardoned.’… If I were president, to go and pardon Pollard would make a lie out of the notion that there are certain rules, period. You cannot give classified information, period. Even to a friend. If this were Great Britain it would be the same thing. So the standard has to be maintained. One may agree or disagree with Mr. Biden on the issue of a pardon for Jonathan Pollard; but Jews should not be misled into thinking Mr. Biden has changed his mind on the matter. There is something disappointing about a Jewish news source presenting one sentence of an interview out of context and using it to create an erroneous impression.